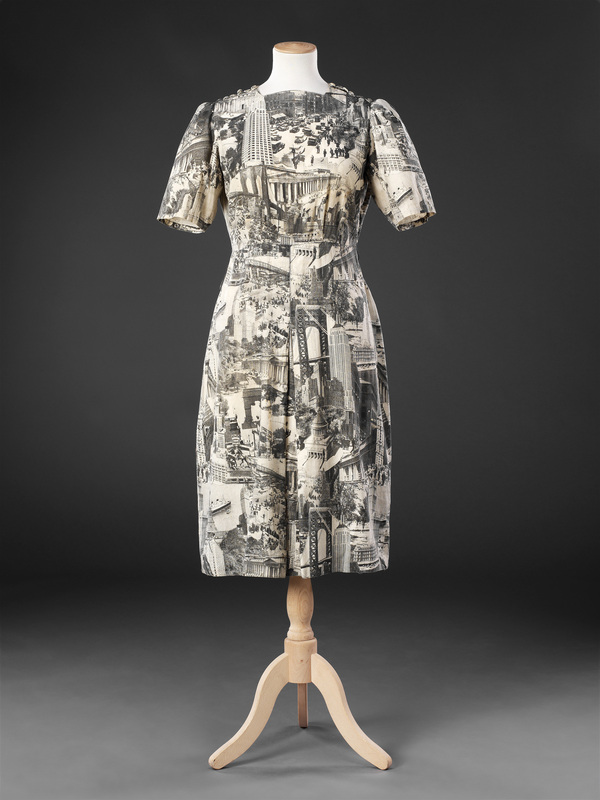 By the late 1930s technology had been developed to print photographic images onto fabric. 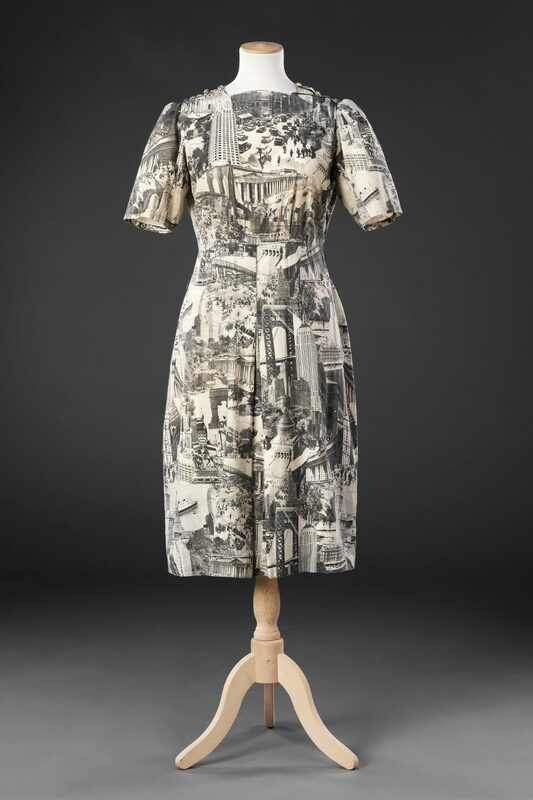 This dress has been roughly constructed of cotton on which images of New York landmarks, such as the Chrysler and Empire State Buildings, and street scenes have been put together as a montage, with no regard for scale, topography or perspective. 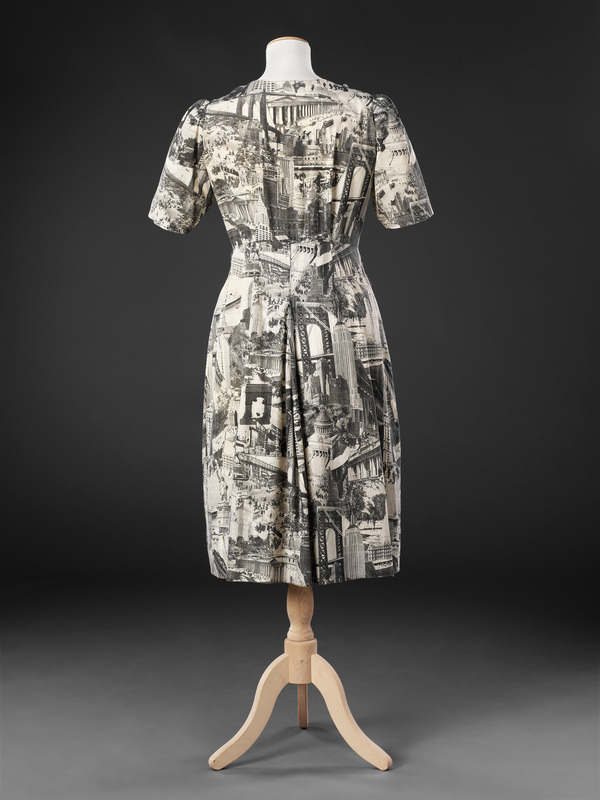 These photoprint fabrics were popular for cheap souvenirs such as men’s shirts. 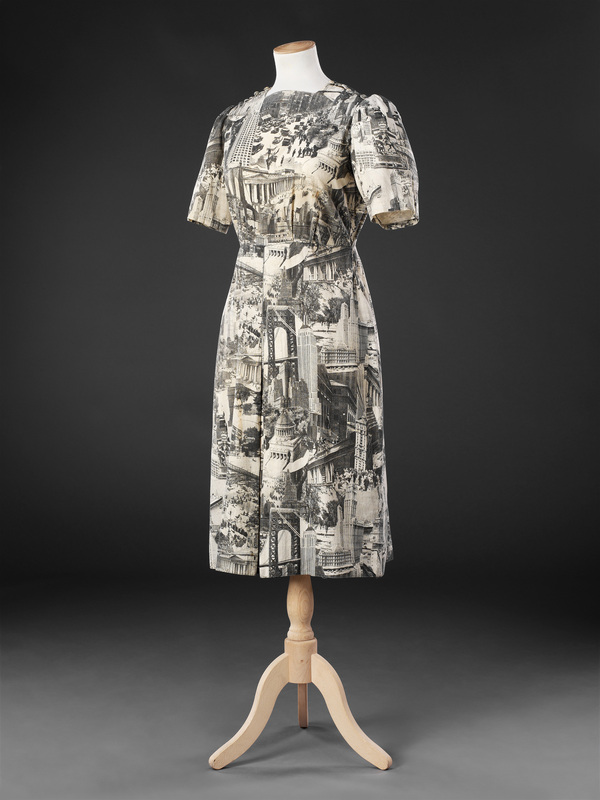 The dress originally belonged to a family whose members were well travelled, and it is possible that it was acquired on a visit to the New York World Fair which opened in the spring of 1939. 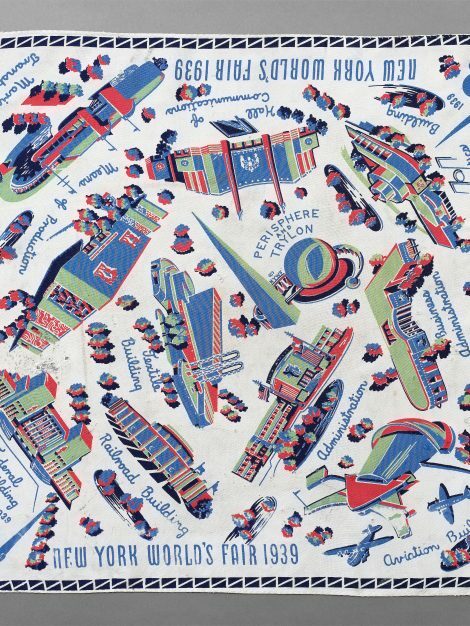 Huge numbers of souvenirs were sold at world fairs, and the example in ‘Related items’, a scarf or handkerchief, is printed in four non-naturalistic colours with some of the New York Fair’s futuristic buildings and pavilions.